If towing service is not available in an emergency, your vehicle may be temporarily towed using a cable or chain secured to the emergency towing hook. Use extreme caution when towing the vehicle. 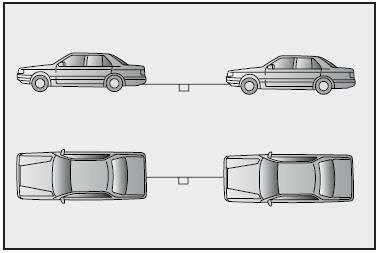 Towing in this manner may be done only on hardsurfaced roads for a short distance and at low speeds. Also, the wheels, axles, power train, steering and brakes must all be in good condition. Do not try to tow your vehicle when the wheels are stuck in mud, sand or similar substances that prevent the vehicle from being driven out under its own power. 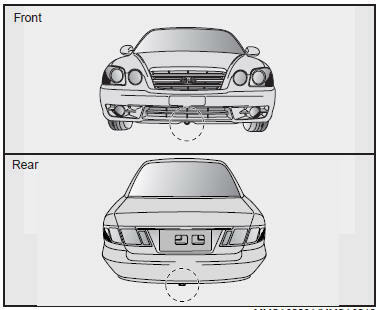 If the towing vehicle can hardly move, do not forcibly continue the towing. Contact an Authorized Kia dealer or a commercial tow truck service for assistance.